A romantic ring box unlike any other. 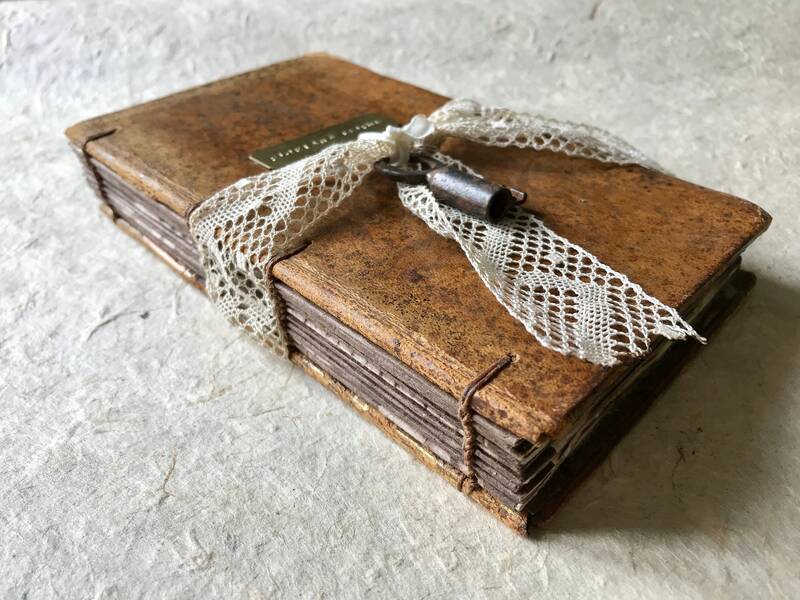 Made from an antique book rebound with aged ivory paper, the blank pages inside allow you to tell your story in your own words the way you want. At the back is a chamber perfect for a ring or two. 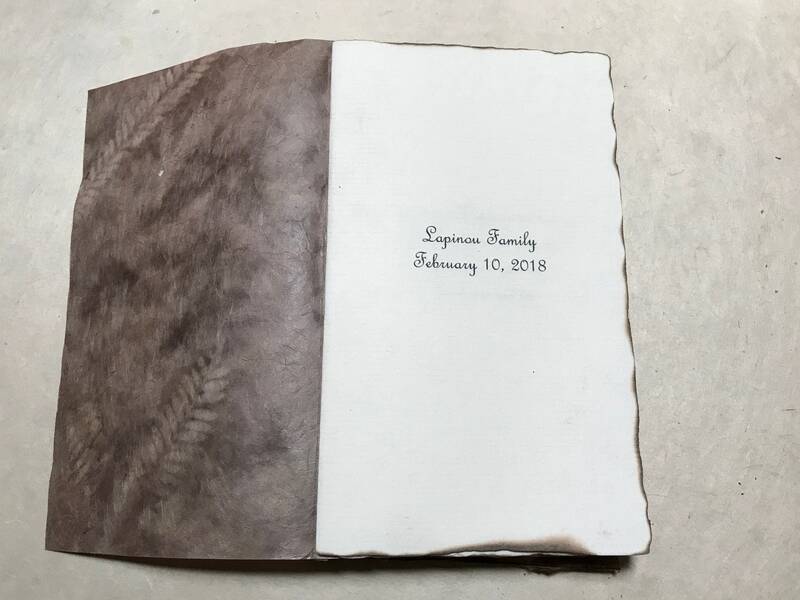 Use this one-of-a-kind keepsake to pop the question or to carry your wedding rings down the aisle. Custom made, please contact me to get your order started. 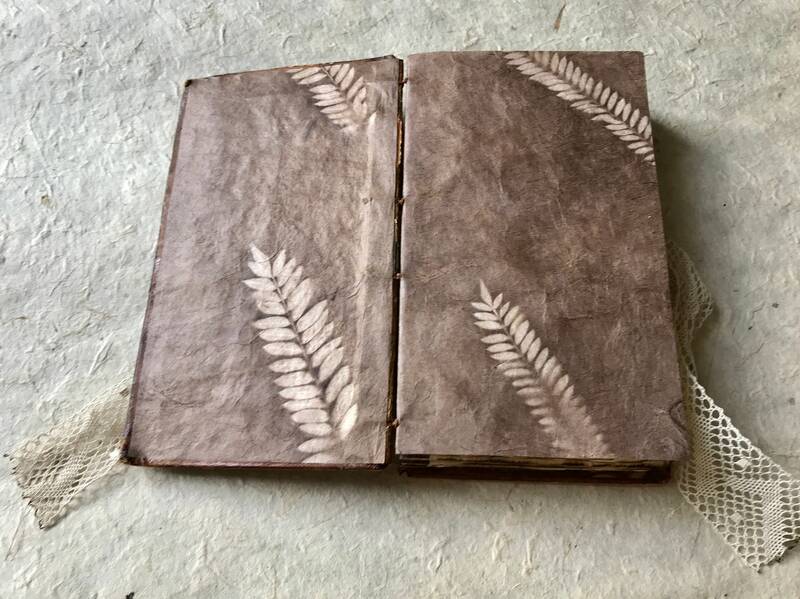 Photos show samples of sold work. 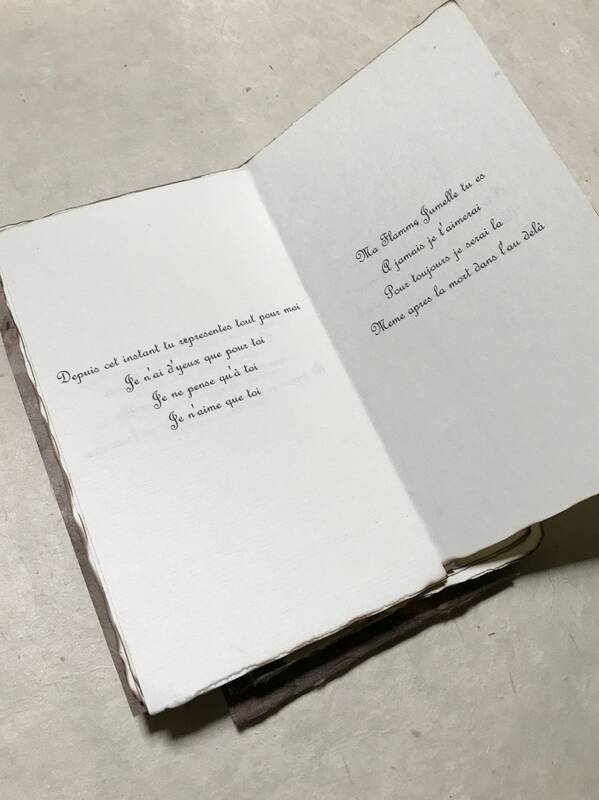 Your hollow book will be make with a similar authentic antique French leather book or you can choose another cover style. 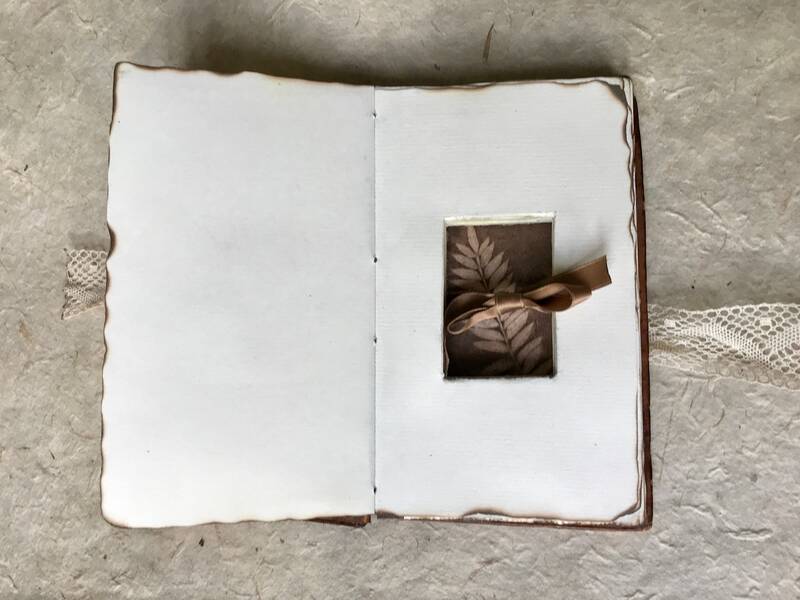 These books are small, generally around 4 x 7 inches (10.5 x 17.5cm). Please contact me with your deadline to confirm availability. Packages below are suggestions only, your order can be made to your specifications. The ring chamber will be approximately 1/2 inch deep.